Baret Collection takes you on a tour across the globe, collecting pieces of rich history along the way. Each stop has its own story, creating an exotic and layered collection with boundless opportunities. Join us as we venture from destination to destination, just as Jeanne Barét did all those centuries ago. 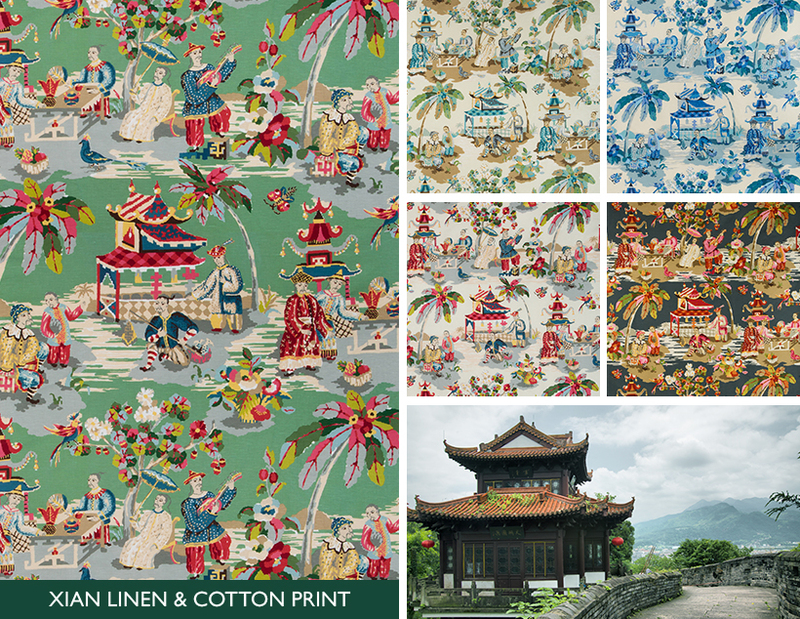 Reintroduced in a new exotic color palette, this iconic Chinoiserie speaks directly to Jeanne Barét’s incredible story of exploration. 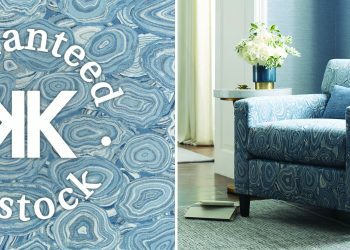 First introduced back in 2003 with a subdued color palette, this pattern is brought back to life in exciting new color combinations for a more exotic look. Its individuality derives from its inspiration, a needle point design. Because of the nature of this needlepoint, the colors appear in numerous small solid blogs, giving this interpretation a naïve look. There are eight different solid colors in the leaves of the palm tree depicted in the pattern alone. The details of the story behind this pattern is much more elusive; the scenes here could be from one of Marco Polo’s travels to China in the 13th century, or they are just a creation of the artist. 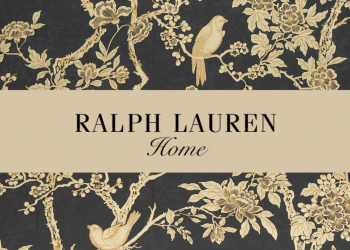 With a nod to the traditional rugs made during the Silk Road era, this pattern was reinvented with a whole new look. This print was originally in the Brunschwig & Fils line on a chunky woven cotton cloth back in 2002, and was discontinued in 2011. After falling in love with it all over again, it was reintroduced on a new ground, giving it new life. The pattern was created with Bohkara rugs in mind – traditionally made in southwest Uzbekistan and along the Silk Road. 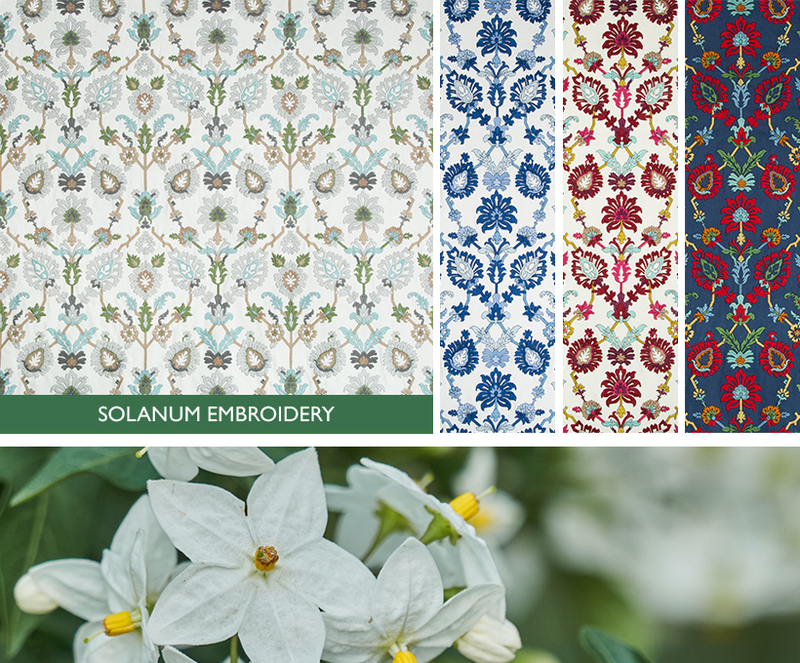 Taking pieces of those motifs, and adding new vibrant colors, lead to this stunning Susani pattern. 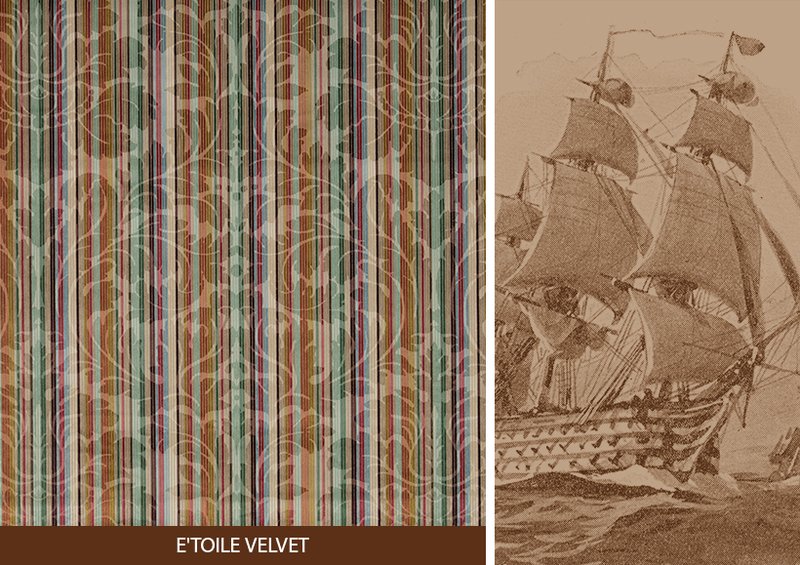 Named after the ship that took Jeanne Barét around the world, this velvet is made with a nine-colored custom warp, creating a subtle yet elegant damask pattern throughout. 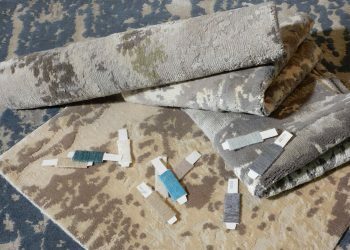 This intricate velvet is comprised of a nine colored custom warp velvet stripe, which when combined with a needle cut print technique, creates the opulent yet subtle damask design. 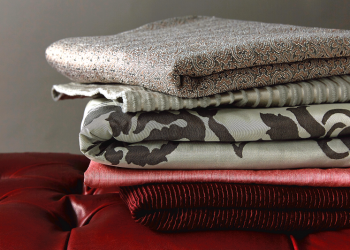 It’s made at one of the finest Italian velvet mills and is a true labor of love. 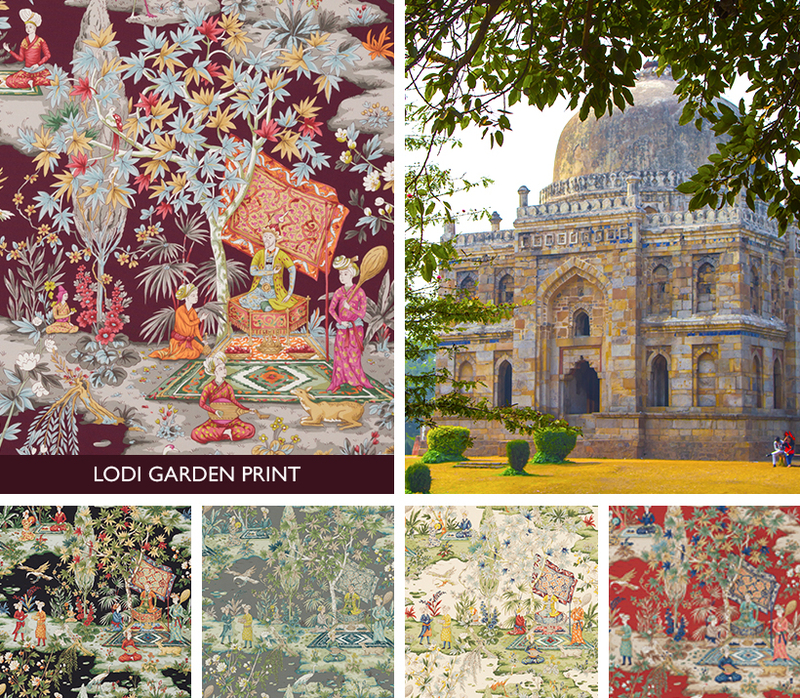 This traditional garden scene stems from Mughal paintings in India from the 16th to 18th centuries. This historical scene is enhanced with magical and unexpected colorations that transplant you to an exotic era of storytelling and tradition. 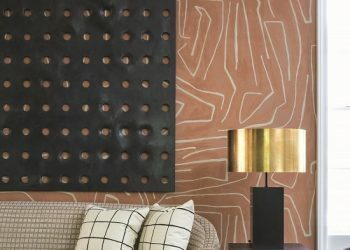 This pattern derives inspiration from Mediterranean and Middle Eastern designs. Mimicking ancient stencil patterns from those regions, this all-over embroidery intrigues with its striking color. 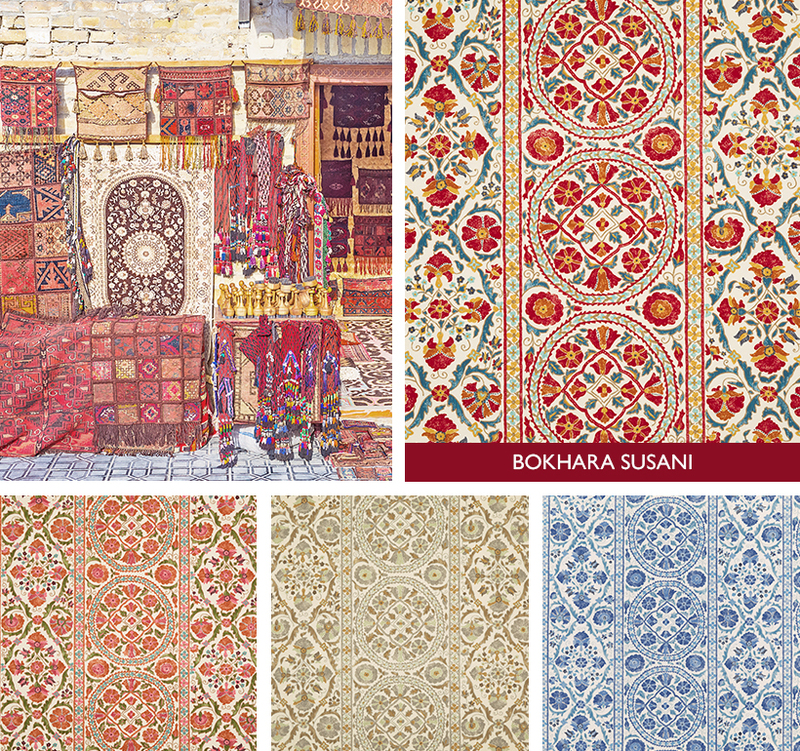 Explore all of Brunschwig & Fils’ stunning ethnic patterns here.